Offering you a complete choice of products which include embossing machines, emboss machine, embossing machine, krezy emboss machine, paper embossing machine and emboss fabric. 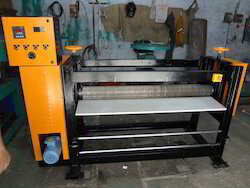 We are providing embossing machines that are fabricated with high grade of raw material and latest technology. 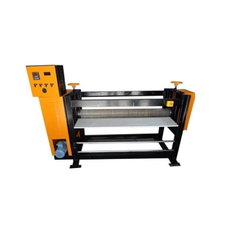 These embossing machines are available with working width of 1650mm - 2286mm and require total electricity of about 8 Kw - 12 Kw. 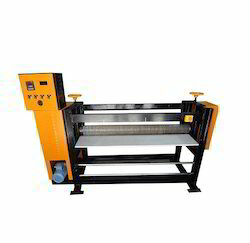 These machines cover a vast floor area of 2715mm x 1065mm x 1425mm and effective in controlling temperature through electric device of 50-250c. 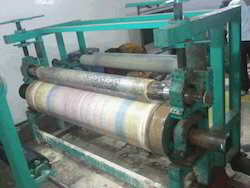 We are a trustworthy organisation in offering a wide gamut of Emboss Machine. 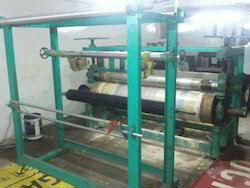 Design Rolls 6' x 60"
We are a trustworthy organisation in offering a wide gamut of Embossing Machine. Design Roll 6' x 60"
We are one of the leading manufacturer and supplier of Emboss Machine with the high - quality of material used as per the industry standards. Power Consumption: 11 hp electric motor with inverter drive with gear box electrical control panel with temperature controller max. 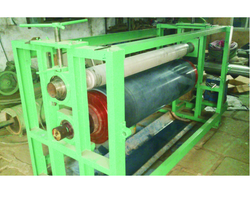 We are a trustworthy organisation in offering a wide gamut of Krezy Emboss Machine. 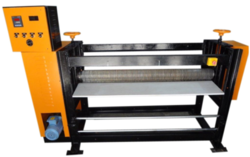 We are a trustworthy organisation in offering a wide gamut of Paper Embossing Machine. 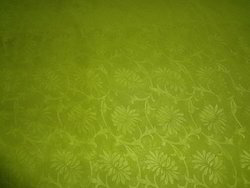 Made available by us is a commendable range of Emboss Fabric. Widely used for decorating purposes at different places, the offered product is available in different designs and other related specifications. In addition to this, our provided Emboss Fabric is rigorously tested by quality controllers to ensure its reliable performance. 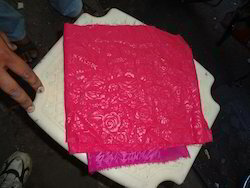 Since our foundation, we are known in the industry for offering a huge variety of Emboss Fabric Sample. Our offered range of Emboss Fabric Sample is soft textured and is gives a smooth feeling on skin when these are used. 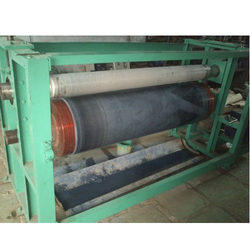 We have developed the offered range by using good quality material under suitable conditions. 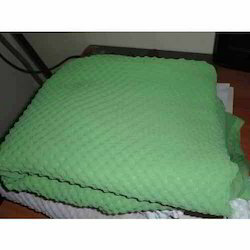 We use best packaging materials to encase goods. Relying on our rich industry experience, we are a client centric organization. We are offering a huge array of Emboss Fabric Sample to our customers at industry leading prices. 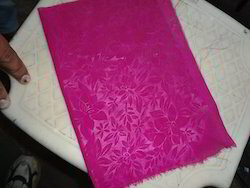 Our Emboss Fabric Sample is used for general purpose at different places. We offer our entire products range after flawless finishing and several quality testing. We assure our clients that they will feel pleased after using our product range. 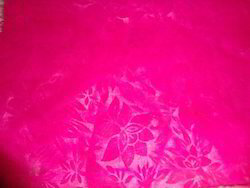 Emboss Fabric Sample offered comes in quality effect finish and provide support for creating three-dimensional images on variety of fabrics as demanded by the customers. As eye-catching decorations, these fabric sample choices support enhancing look and feel of all types of garments and textiles. Some of its features include support creating unique patterns or designs on fabrics that can be used for clothing and accessories like hats, bags and others; expertise in creating customer specified design, decoration or pattern on any surface. Emboss Fabric Sample offered have a high demand in the market because of its rich exquisite designs with three dimensional images or design effect. The smooth fabric options used by us also support enhancing the embossing effect provided and make them look enchanting and exclusive. 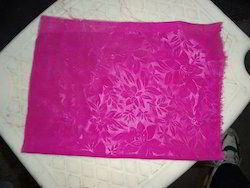 Some of its features include superior three dimensional effect that provide for unique look to the garment; choice of different fabrics like bleached, dyed or printed finish; provides foor durable usage. Emboss Fabric Sample offered feature exclusive three dimensional images or designs created on the fabric that adds value and superior finished looks to the textile. The use of latest technique for embossing also ensures quality and long lasting effects. Some of its features include superior three dimensional effect that provide for unique look to the garment; unique and appealing effect to the fabric; gives a very trendy look to the outfit; widely used for making promotional materials; finds way in embellishing T-shirts, caps and casual wears. Emboss Fabric offered can be made available in different finish configurations and allow creation of superior three dimensional images or designs. 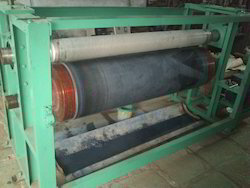 Providing for appealing effect to the fabric, the effect provided is durable and has average life of 50-60 washings. 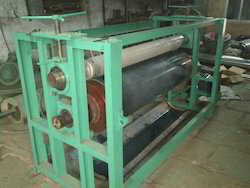 Some of its features include sutiable for creating non wovens like tissue papers, napkins, diapers; apparels like T-shirts; choice of differ types of embossing like blind emboss, tint emboss, single level emboss, multi level emboss, printed emboss, registered emboss, glazing; breath taking appearance. 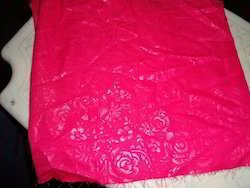 We are a trustworthy organisation in offering a wide gamut of Emboss Fabric. 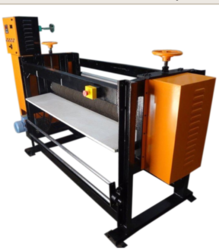 We manufacture Krezy Emboss Machine For Bullet Design which is made up of high quality of raw material. 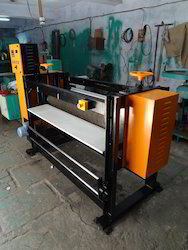 Looking for Emboss Machine ?